The Nobel Prizes are among the most highly regarded of international prizes. Many students associate the Nobel Prizes with scientific discoveries. Rightly so, as there are awards for outstanding achievements in Physics, Chemistry and Physiology/ Medicine. In addition to these sciences there are also awards for Literature and Peace. The prize money for these awards comes from the will of Alfred Nobel, a Swedish chemist and entrepreneur who made a fortune from his invention of dynamite and other explosives. Nobel lived from 1833 to 1896 and had specified that awards be made annually to those who “have conferred the greatest benefit on mankind”. The first Prizes were awarded on 10 December 1901, the fifth anniversary of Nobel’s death. The sixth award, the Prize for Economic Sciences in memory of Alfred Nobel, was set up by the Bank of Sweden in 1968. 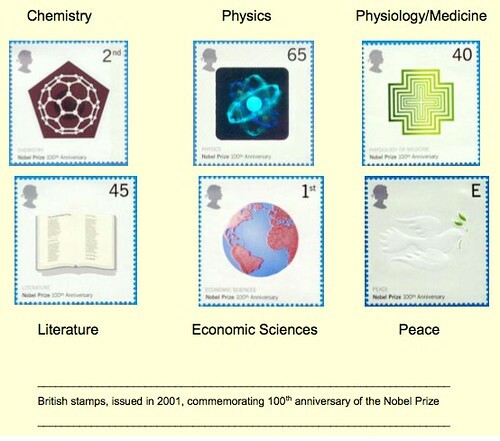 In 2001, on the occasion of the hundredth anniversary of the first Nobel Prizes, Great Britain issued a special set of stamps. 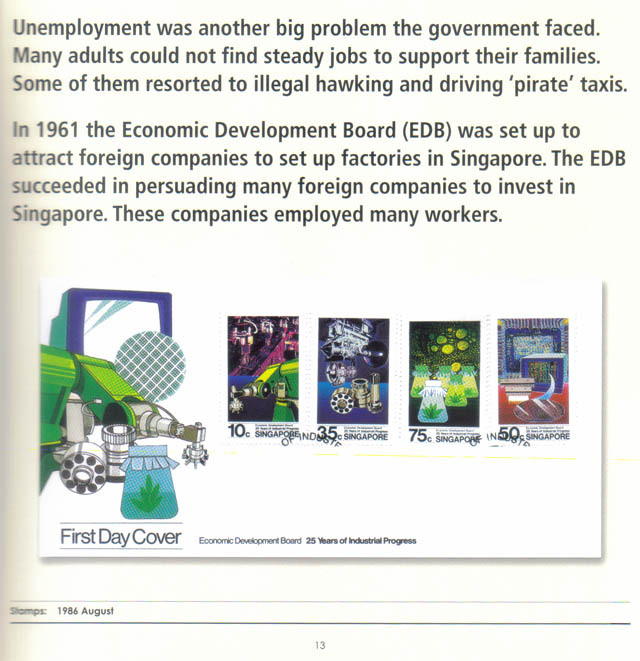 How do we know these stamps are from Great Britain when there is no mention of the country on the stamps? Well, Great Britain is the country that pioneered the use of postage stamps and from the beginning did not put its name to the stamps. The tradition has continued to the present day.